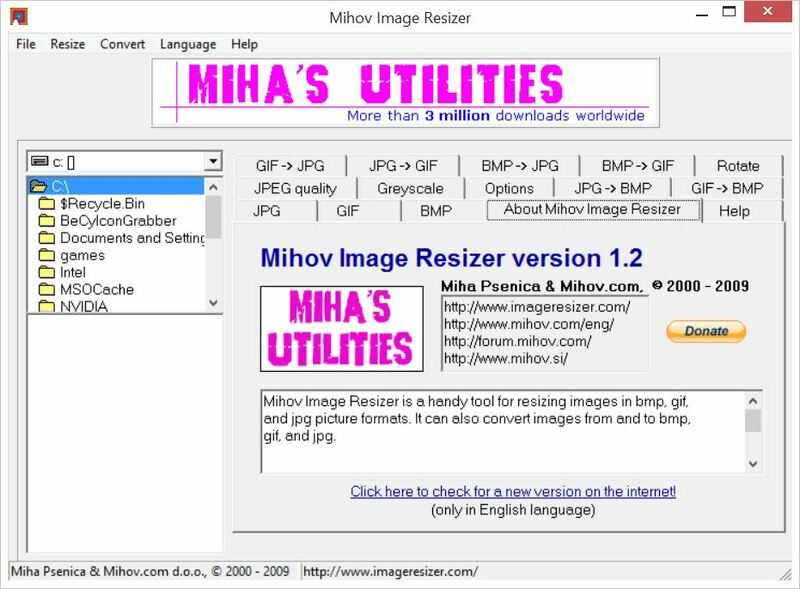 "Resize any image with the Mihov Image Resizer"
If you're familiar with any Mihov software, you know that Mihov software takes a task that would usually take a long time to complete if one person was doing it by themselves - one by one - such as downloading images from a website and saving them to your pictures folder on your computer, and automate it so that the process can be completed in half the time. In fact, Mihov created a program just like that which is also available here called the Mihov Picture Downloader. This application, the Mihov Image Resizer works in a similar way. Image resizing is a rather common task; however, your average Computer user doesn't resize enough images on a daily basis for it to be so much of a drag. But there are some individuals out there who work with large quantities of images every day. They know how extremely time-consuming it is for them to have to resize image after image after image. It is even more time-consuming when people who work in that industry have to resize a bunch of images that all have to be the same size. Wouldn't it be cool if there was an application where you could simply select a folder containing all of the images that you need to resize, click a few buttons, and start the process? Your task would be automated and you would, figuratively speaking, cut the time in half that it takes to resize all of those images - maybe even more than half. The Mihov Image Resizer it works just like that! 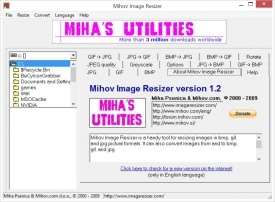 This version of the Mihov Image Resizer can convert images from several different image formats file such as bmp, gif and jpg. You can also resize images in those picture formats and resize images from one format to another format. You can easily change the jpg quality with a simple slider inside of the application. You can also easily convert images to grayscale by simply selecting grayscale in the same menu. Although you don't get many options in this application’s dedicated options screen, the ones that are available to our very useful: you can add a prefix to every image, create the image in a specified subfolder come or choose to overwrite an image without asking. There's also a checkbox that will allow you to preserve the images’ dates and times. The Mihov Image Resizer also has a navigation pane located in the left side of the window that allows you to easily navigate through all of your folders stored on your computer. In my opinion, having the navigation pane located in the window of the application drastically decreases the amount of time that it takes to locate the folder that you wish to retrieve the images from. Once you have selected the folder that contains images that you wish to convert, a simple click of the convert button is all that you need to do. Sit back and watch's as all your files are converted to the necessary format and size.